1) Delicates Laundry Bag Perfection. 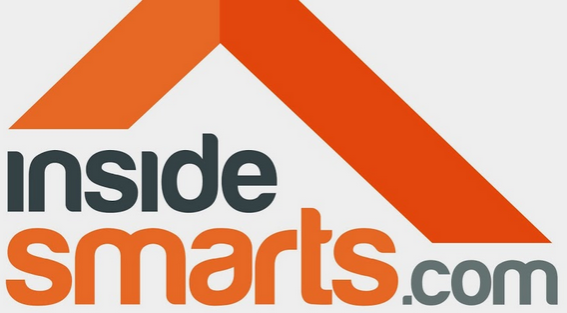 If you've tried any ordinary laundry wash bags, you'll notice the InsideSmarts difference in no time. These #1 Rated Wash Bags are made of premium-grade mesh that makes them as strong & durable as they are luxurious & smooth. 2) Everything in its Place. This popular lingerie wash bag set ships to you with 4 Luxury Wash Bags (2 medium, 2 large). Keep like-colors separated using the 3 white wash bags for light-colored loads, and the 1 large black bag for dark-colored items. 3) Every Wash: Quiet & Safe. Zippered mesh laundry bags can be noisy, but not this new, 2015 Delicates Wash Bag design. 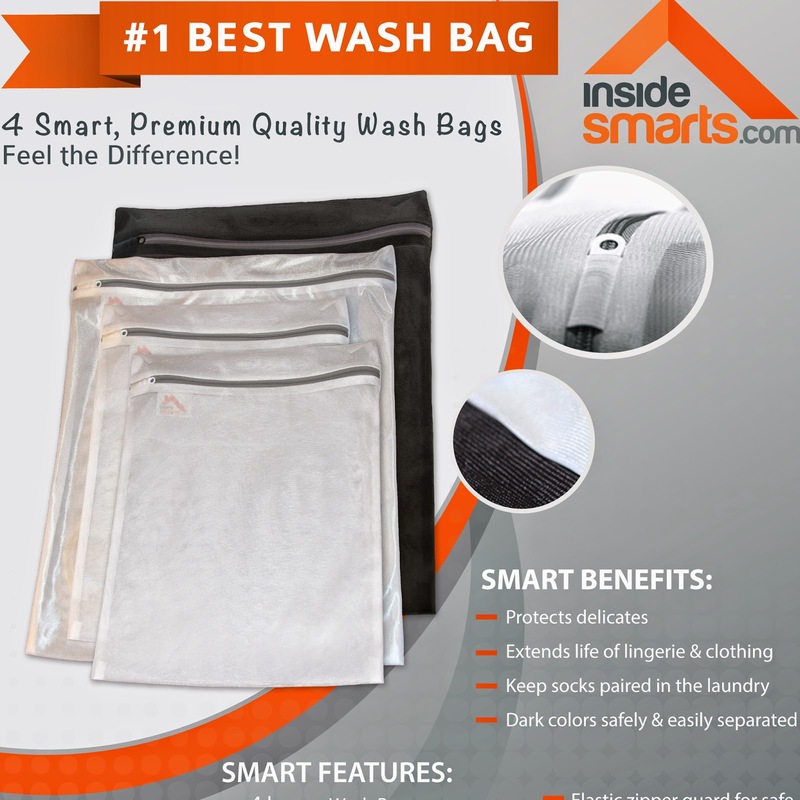 Slip the rustproof zipper under the smart zipper guard to protect & ensure a quiet, snag-free wash.
DELICATES WASH BAG SET OF 4 ~ Buy the Best Now: 2 Medium Bags (12" x 15") & 2 Large Bags (16" x 19"). 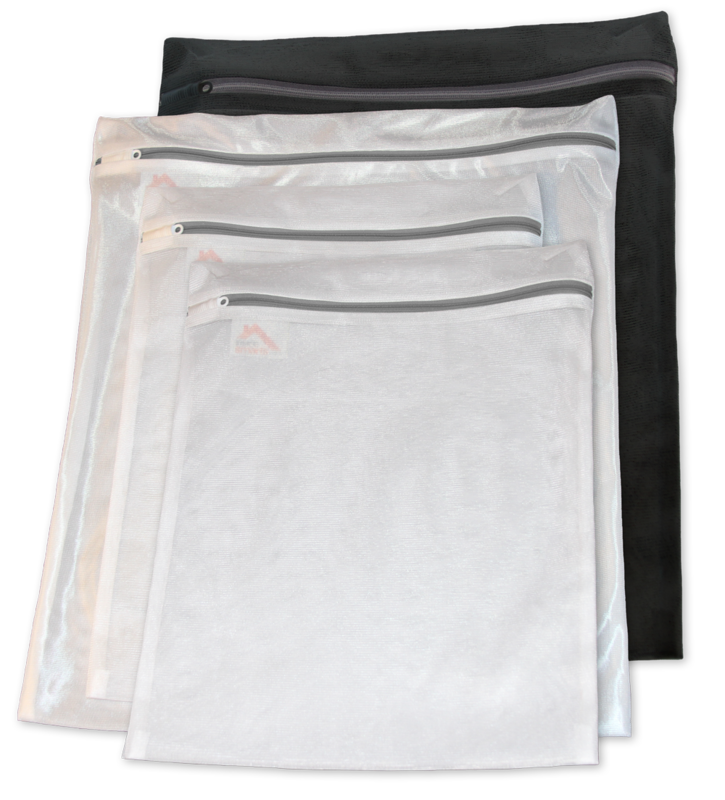 *2015 DESIGN* MESH LAUNDRY BAGS ~ Choose the BEST to protect delicates, extend the life of lingerie, hosiery, intimates and more. DELICATES LAUNDRY BAGS KEEP COLORS SEPARATE & SAFE ~ Use the 3 white wash bags for light colors & the 1 large black bag for dark garments. EXCLUSIVE LINGERIE WASH BAG "SMART-WASH" GUARANTEE ~ You'll love our tough, innovative, premium product or YOUR MONEY BACK. OUR PRIORITY IS YOUR SATISFACTION. The very first thing I noticed about these Premium Delicates Laundry Bags is the nice quality of the zippers which are tucked away nicely so they do not snag on anything during the washing or drying process. 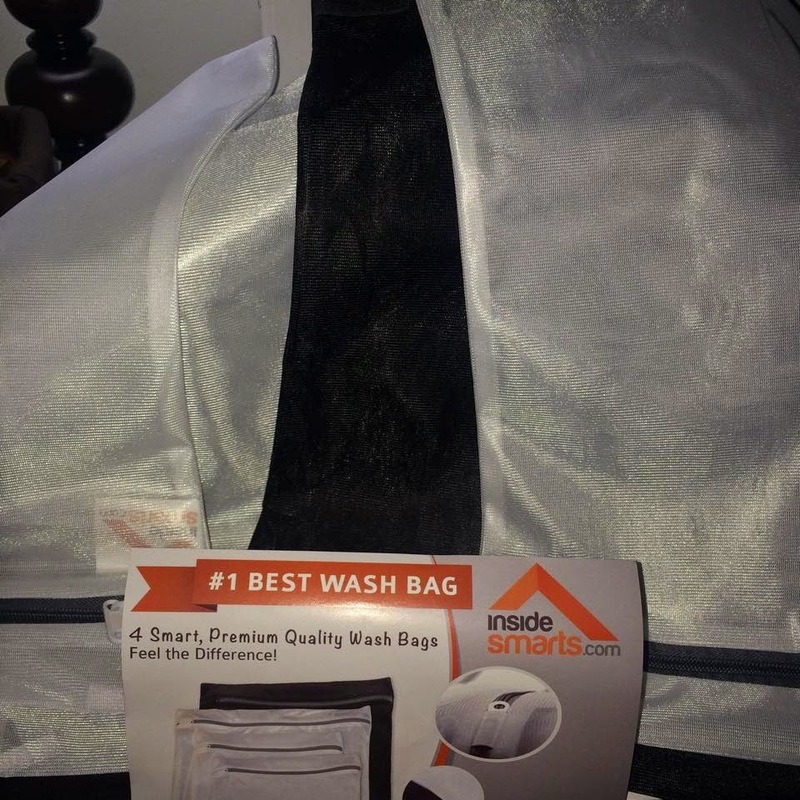 This is very important to me, because I have had issues with other laundry bags I have tried in the past. I like that they are not the usual mesh cloth which always snags the hooks on bras etc. I also like the different sizes of bags and the black bag is nice for washing all dark loads. All in all I liked how they performed in the wash, I don't recommend filling up the bags with your delicate washables, I think less in the bags washes better.